Schilsky Chiropractic Center is a one-of-a-kind location. We offer chiropractic care to fit your lifestyle, activity level, and age. We can help you combat chronic pain issues with individualized chiropractic treatment for back pain. You no longer have to struggle with a stiff neck and chronic headaches. Schilsky Chiropractic Center offers chiropractic treatments for neck pain. Take the time to browse a full list of of syndromes and symptoms that we can treat through highly specialized chiropractic treatments. Schilsky Chiropractic offers a complete array of chiropractic and medical care services… under one roof! Our philosophy and goals ensure that we work hand-in-hand with health care professionals in associated fields of medicine to ensure that the most appropriate care is given for your specific health concerns. 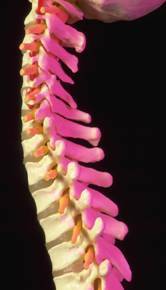 Spinal problems, neglected since early childhood, may require ongoing supportive care of optimum spinal function. These long standing problems are often associated with muscle weakness, soft tissue damage, and degenerative changes to the spine. Some patients seek chiropractic care only when their ache or pain becomes unbearable. While this style of “crisis management” is usually more costly and time-consuming, our office stands ready to help all patients, regardless of their health goals. How long you decide to benefit from chiropractic care is always up to you.